This experience is representative of our expertise in financial modelling. It demonstrates our knowledge of VaR models and their application to manage market risk. 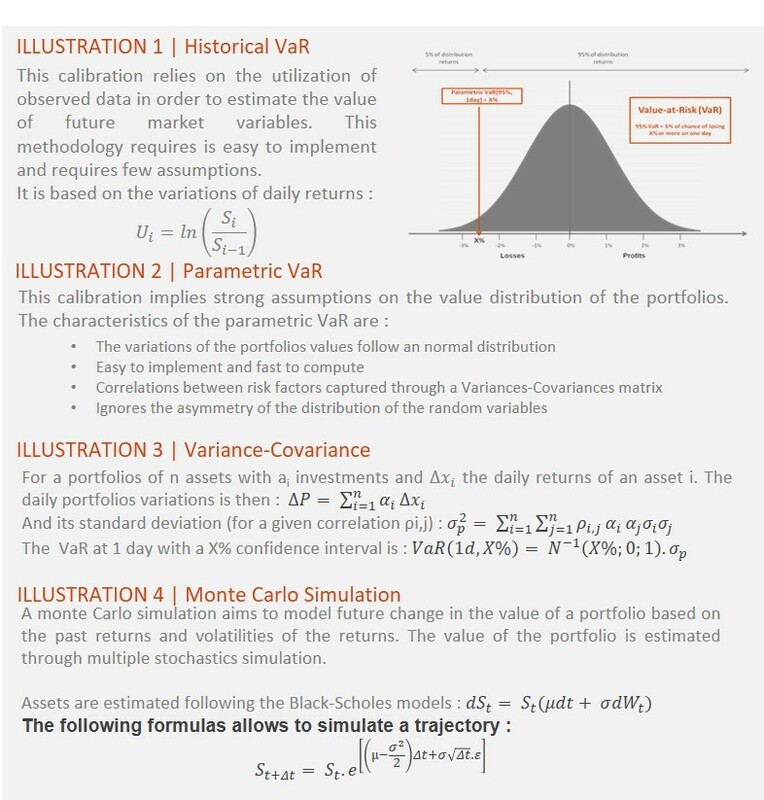 A VaR model represents the potential losses that can occur on a portfolio assets with a X% probability over a period t.
Context: A 6-month assignment for the development of a Value at Risk model in order to manage market risk and meet regulatory requirements.